Catacombs of Saqqara: A. 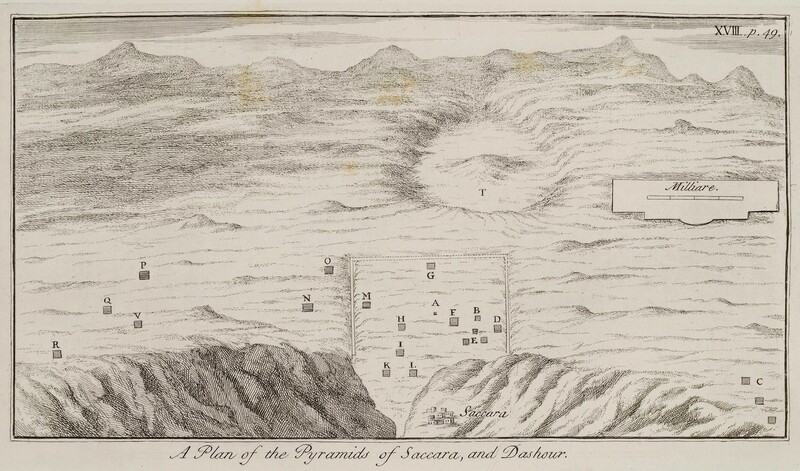 Plan of human burials. B. 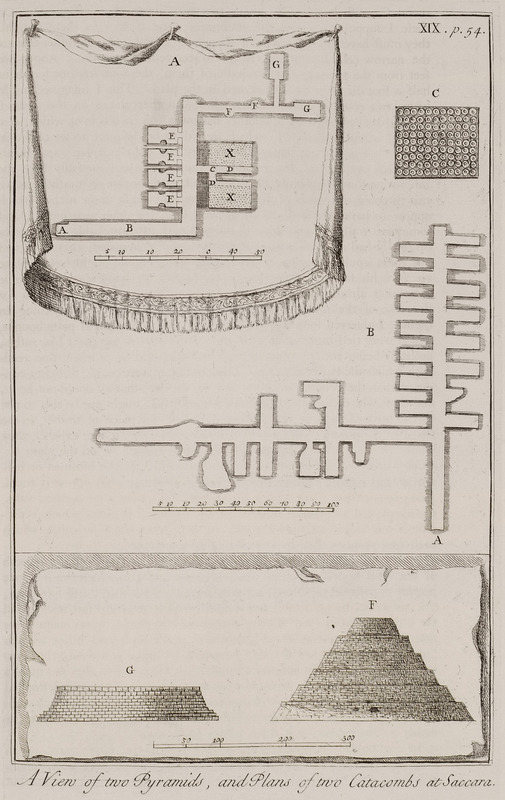 Plan of the Ibis Catacomb (bird burials). C. View of a wall from the Catacombs of Apis. Two pyramids from Saqqara.